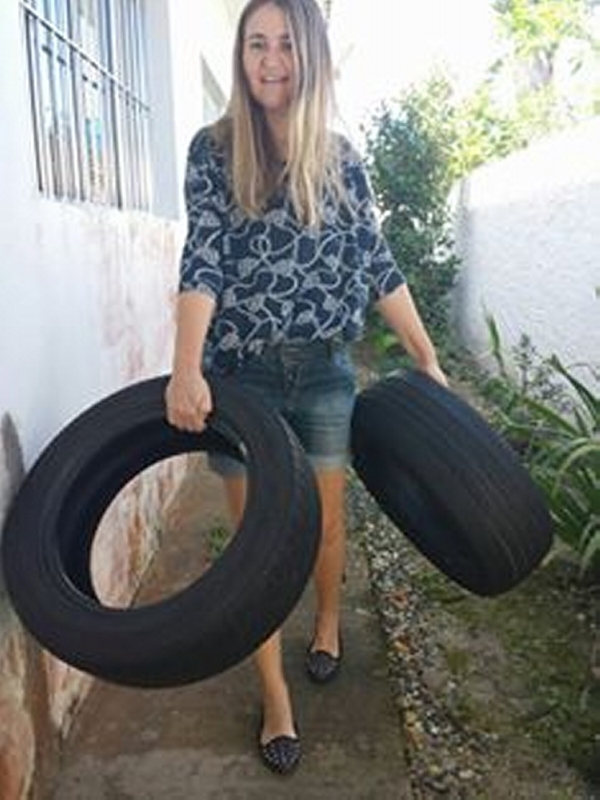 Used tyre recycling has always been an exciting activity for me. I literally love making art crafts using these old tyres. 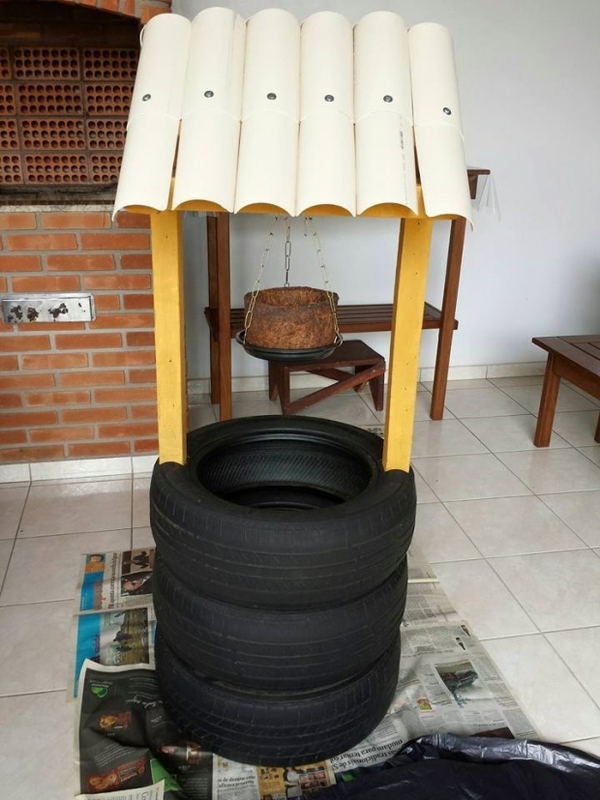 We have already presented a number of tyre recycling ideas and art crafts made using the old tyres. 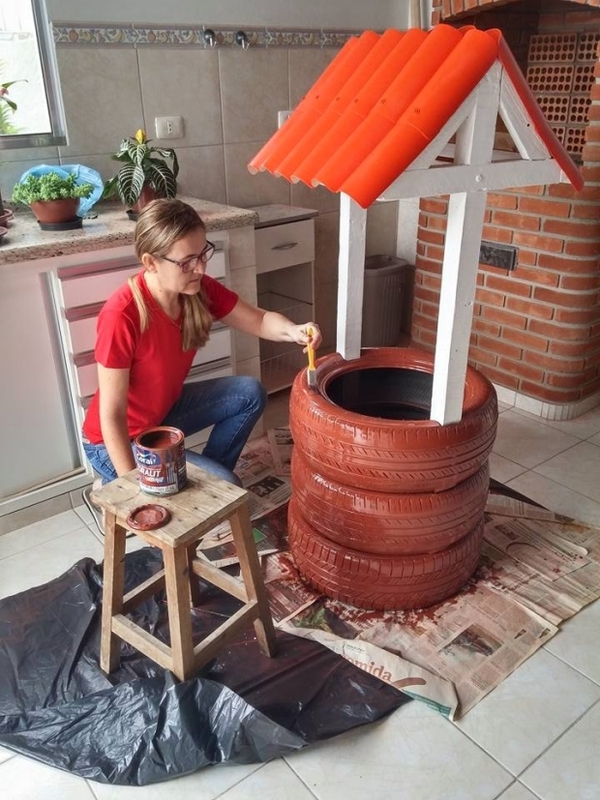 But in this DIY article we are going to elaborate a whole tutorial of recycling used tyres art work. So before getting started, obviously you would require a couple of used tyres. 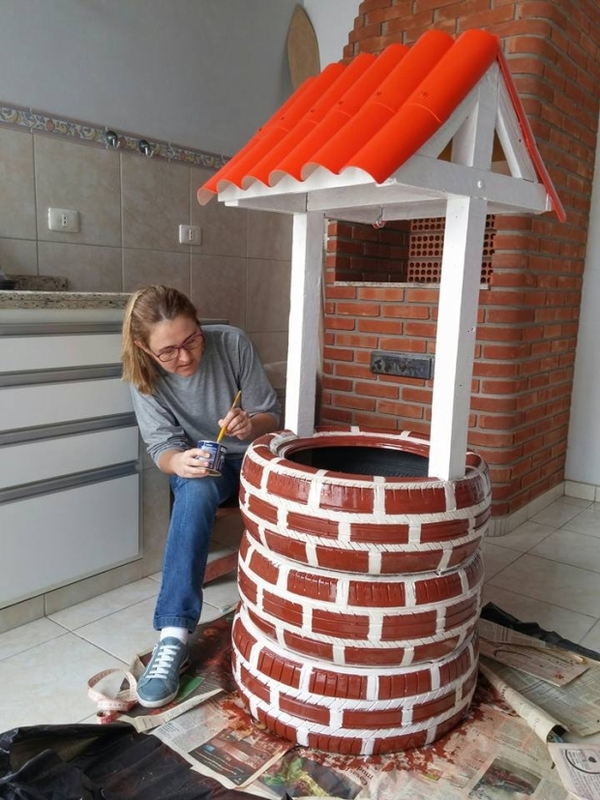 And some additional supplies like half cut plastic pipes, wooden planks for making an erect pole, and the paint of your choice. But it would be better to opt for atleast one dark color. First of all have a look on this domestic art craft made using pretty ordinary and common house hold accessories. We have used three similar tyres, wooden frame for making a hut shaped pole, and plastic pipes cut from inside downward. After this brief discussion this is pretty clear that there is no rocket science involved in making this domestic art craft with used tyres and a couple of some other common accessories. You just have to stay focused and ponder upon the entire procedure of recycling these old or used tyres. 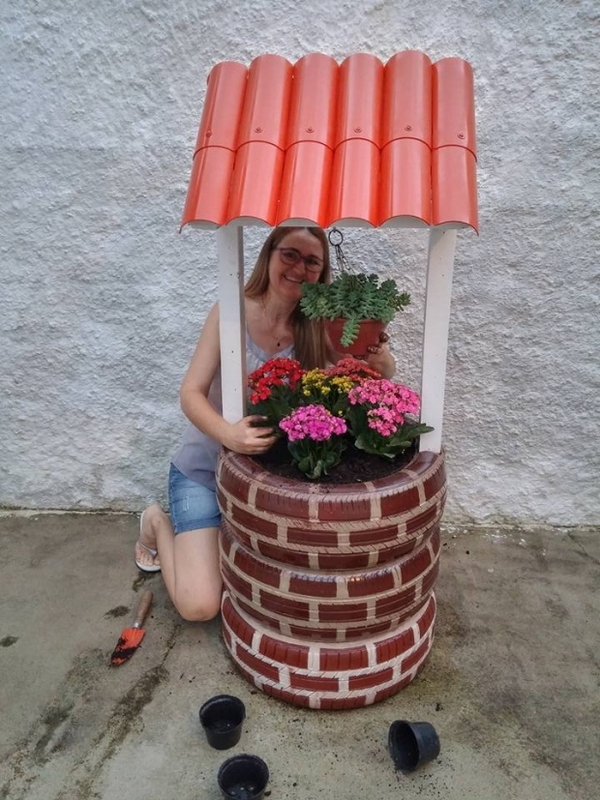 Now we are all set to make this amazing planter that is going to make your place look awesome. All three tyres are put one on another, and the wooden planks are crossed inside the tyres downward as shown in the picture here. The tyres were cut accordingly with some sharp cutter. After making the basic structure now comes the segment of final touch. 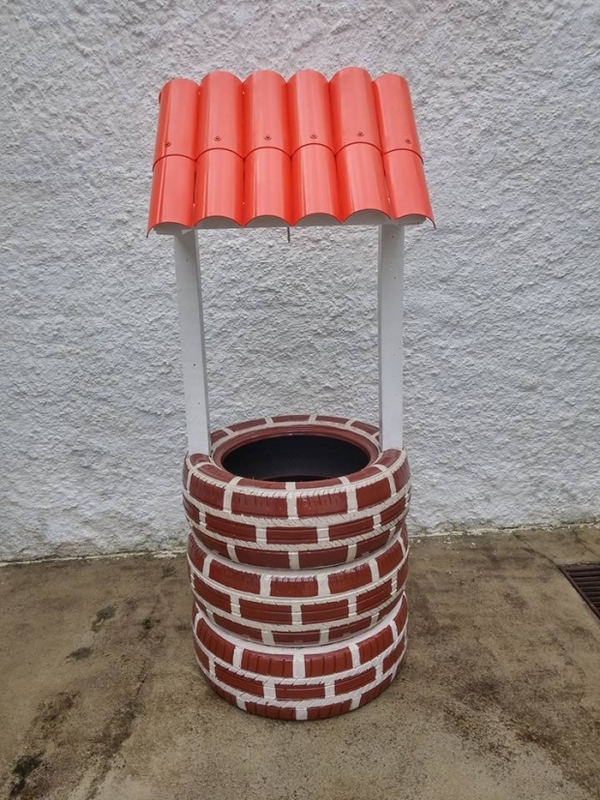 First of all we have painted the wooden planks in bright white color, and the hut top plastic pipes are painted as orange color to make it look a fascination art craft as ultimately it is going to be used as domestic planter. And now switching towards the final phase, we have painted the tyres in the dark brown color. 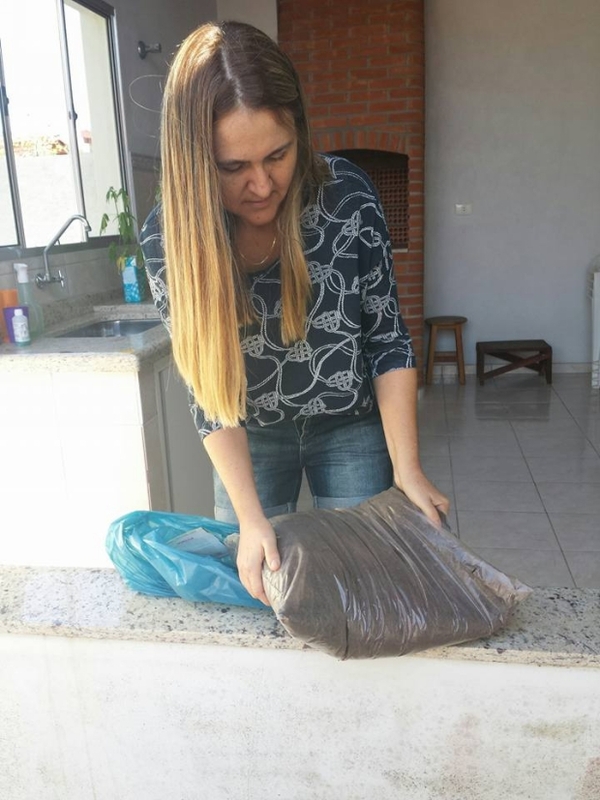 But here we have prepared the base, we would be using an additional color here to make a contrast. After painting the tyres in dark brown color, now we are highlighting the inner design layers of tyres as bright white color. This is just a soothing color combination and an attention grabber. So here we see our tyres recycled art craft or a superb planter is all set to be used. Prior to this we have worked a lot on wooden pallet planters, but I think this is the prettiest among all its counterparts. This huge tyres recycled planter is just going to look awesome wherever you place it. It certainly would look great outside whether you place in near the main entrance door or in your patio. And finally we have decorated it more by putting a bunch of cut flowers. Well, you just can not have such a great art craft that is better than this one for the ones who love gardening and greenery all around. So hope next time you are not going to dump your used tyres.